I normally avoid comic book origin stories. First, thanks to the never-ending greed of the companies behind the comics more often than not the story won’t stay canon for long. What once used to be a big and celebrated wow moment of finally learning the history and backstory of mysterious characters has turned into yet another annoying plot device and way for publishers to gouge more money out of fans. I’m a bit salty over this as you can tell. An origin for Thanos sounded interesting. How do you tell the story of one of the very worst villains in the Marvel universe? Was he always a monster, was there something that flipped the switch? Will he be someone we root for? Will it be boring? Well, I can honestly say this was pretty much spot on. Without spoiling anything I can say that the Thanos we are treated to here feels true to the character I have been reading about for years. Seeing his evolution happen really felt right. The art was spot on. The writing was also really strong. Part of me wishes it was a bit longer, but at the same time, I realize the story was so tight because of its short length. 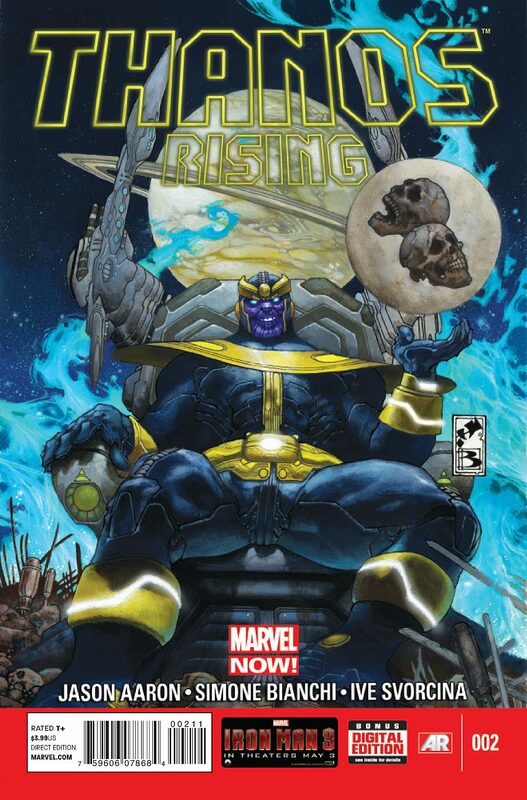 Seeing Thanos rise up from a normal being to the monster he is today was fascinating. His rise to power matched his evolution as a character. There are hint’s of destiny here as well as hints of a guiding hand. Yet there is always a bit of doubt there. The big twist, in the end, made me rethink the entire comic as well as the character today. The art was pretty darned strong as well. Overall I think this was a perfectly done story that stands well on its own as an introduction to the character or a huge reveal if you are well acquainted with him. Next story Masters of Anima is available today!